An effective, economical and manageable fire suppression system is a key task when planning an industrial building, workshop or laboratory, and also for storage of flammable and explosive products. All of the above can be resolved by installing an automated fire suppression system, which serves to effectively protect the people and valuable goods and equipment. 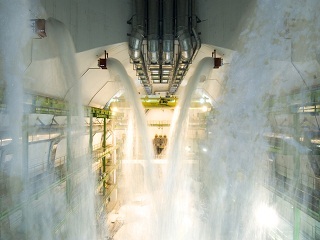 The fire suppression system puts out the fire at an early stage using liquid, powder and gaseous media. In Russia, the water based fire suppression system is most popular. This is encouraged by the low cost of water supply, which is readily available and a large variety of substances that can be treated with such fire suppression media. Practically everywhere, except for locations with flammable liquids and other petrochemical products, waterline systems are used. Intertech specialists undertake the design and installation of fire suppression systems of varying complexity – from total flame control to localised fire suppression. The latter is important when fire suppression is needed in one areas, where surrounding equipment may be sensitive to water. Intertech is in possession of all licenses required to undertake such engineering and installation of fire alarm and automated fire suppression systems. In automatic mode a system can continuously monitor temperature, smoke and fume concentration, as well as ultraviolet and infrared spectrum and other such parameters in a building. 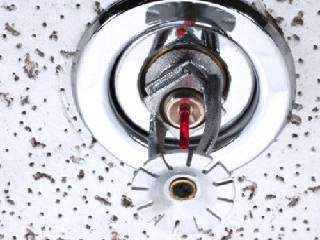 Water fire suppression or sprinkler systems are installed by us very frequently due to their wide spread use. The water source can range from a basic waterline in a building to natural sources of water and underground storage facilities. These systems can ensure fire safety in warehouse and other buildings with ceiling height up to 13 meters. Another economical and effective fire suppression system is powder based, which we also use in our practice. Upon customer request we can also offer gas based fire suppression, which is sometimes used in commercial and residential buildings. - Building fire category calculation.